THE Zambia Institute of Independent Media Alliance (ZIIMA) has strongly condemned the psychological harassment, humiliation and embarrassment caused by the ruling Patriotic Front secretary general Davies Mwila at a media briefing to Prime TV journalists. In a statement yesterday ZIIMA president Jajah Coulibaly said Mwila told reporters to leave in full view of labour minister Joyce Nonde and Fisheries and Livestock minister Kampamba Mulenga saying the station did not air most of their stories despite their reporters being present at most of their assignments. Coulibaly said as a media body run by seasoned and practicing journalists reminded Mwila that reporters were not the ones that choose what was aired on TV or what was published in the papers but a responsibility of editors. 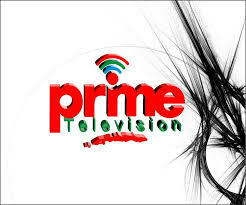 Prime TV editors who are gatekeepers of what is aired and resolve the matter officially. Meanwhile, journalist Osward Yambani II has reminded Mwila that several people had passed through the PF secretariat including those protested against using coffins around town while others saved for few hours. On Saturday, Mwila put up a stunt when he sent away two Prime TV reporter and camera person Njenje Chizu and Toliwe Banda from covering a media briefing. Mwila claimed that Prime television had not been airing the PF activities despite reporters covering the events.